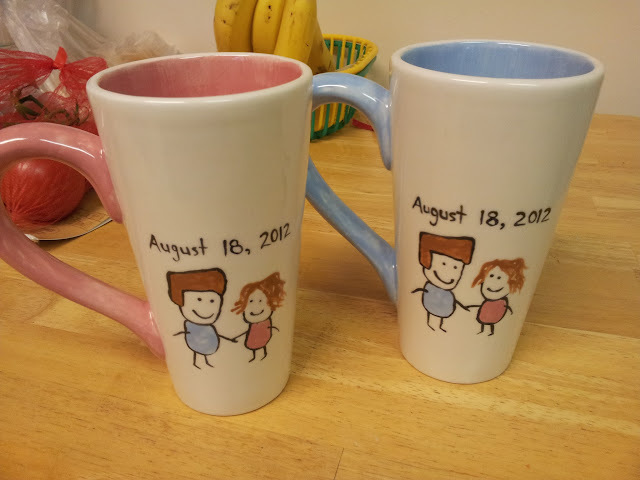 Robyn's sister Allyson made us these awesome mugs for Robyn's wedding shower a few weeks back. I love them the most!! Here's a video from the archives of me and my best pal Matt singing the "Ultimately As Cheesy As Can Be Song" at our Grade 12 Showcase (talent show thingy) in 2004. It was fun!